Get a move on Wellington! 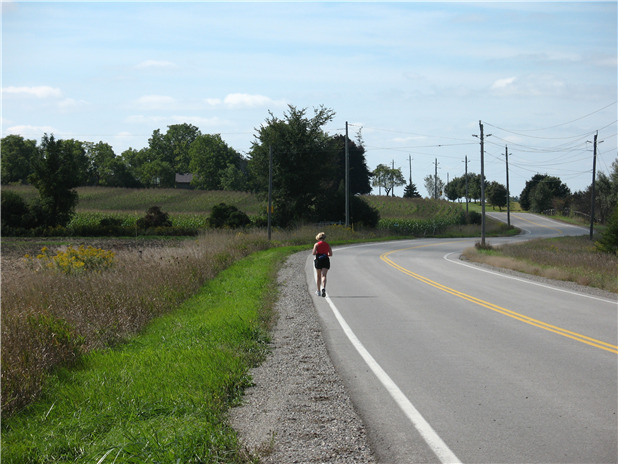 There are a lot of ways to get around Wellington County and keep active: walking, jogging, running, cycling, in-line skating, skateboarding, non-mechanized wheelchairing, snowshoeing, and skiing to name a few.We are working on a plan to support these types of 'active transportation' in your municipality and across Wellington County so you can walk, run or bike to the local grocery store, school and work! The Wellington County Active Transportation Plan Steering Committee is developing a county-wide active transportation plan on behalf of the County and all local municipalities. The draft County of Wellington Active Transportation Master Plan is a long-term strategy to create a pedestrian and cycling supportive environment. The plan includes maps which illustrate spine routes and major loops, on-road and off-road facility types, and a three phased network implementation plan. An equally important part of the plan is the promotion of active transportation, including education and encouragement initiatives. Over the summer, the project consultants will consider municipal input to the draft plan and make necessary changes for consideration by the Steering Committee. After the project Steering Committee has endorsed the draft County of Wellington Active Transportation Plan, formal presentations to County and local councils will be made this fall for adoption of the final plan.